What is an FDA “Approved” Snoring Mouthpiece and Why Is it So Important? Is It FDA Approved or FDA Cleared? While learning about snoring mouthpieces, you have probably seen advertisements stating that a product is “FDA approved” or “FDA cleared”. Technically speaking, the FDA doesn’t necessarily approve any mouthpieces. While this term is often used loosely by advertisers, “FDA Approved” wording is actually prohibited from being used all together. Most sellers unknowingly use this term in lieu of the correct term which is actually FDA cleared. However, not just anyone can receive FDA clearance. There’s a certain process that must be followed in order to obtain this badge. Manufacturers are typically required to register their device and submit a premarket notification 510(k). Snoring mouthpieces are considered a class II medical device and are typically cleared by the FDA on the basis of being substantially equivalent to a product that is similar and has already received clearance. Once FDA clearance is obtained, the manufacturer can sell their product and use the term “FDA Cleared” in their marketing. Why is Being FDA Cleared So Important? What’s the significance of choosing a product that has been cleared by the FDA? Does it really matter if a mouthpiece is FDA cleared? The FDA is responsible for protecting public health and safety. Mandibular Advancement Devices, such as the snoring mouthpiece are considered class 2 devices and are regulated by the FDA. There is an application process that must be followed before bringing a product to market. The manufacturer must submit information to the FDA which is carefully examined before a determination is made. If the FDA gives the manufacturer the green light, they are then able to sell their product to the public. If you purchase a product that has not been cleared by the FDA, you will never know if the mouthpiece that you put inside of your mouth each night is made from a medical grade plastic and it may even contain toxins. You will be spending several hours each night wearing your mouthpiece, so you probably want to ensure that the mouthguard that you are using has been carefully examined by an agency such as the FDA. 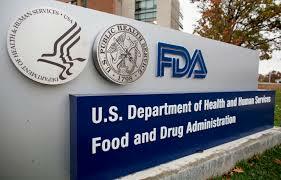 In countries outside of the US, agencies such as the European Commission and Australian Register of Therapeutic Goods serve a similar purpose as the FDA. How Do You Ensure That A Mouthpiece Is FDA Cleared? When shopping for a mouthpiece, you see if the words “FDA Cleared” are written within an ad. Do you stop there and take their word for it? Probably not. Before making a decision it’s a good idea to search the FDA Establishment Registration and Device listing database. First, try searching for the brand. If you are unable to locate a match, try searching the database for the manufacturer’s name. If you are still not able to locate a product, email the company and ask them to provide their registration number which is typically 10 digits in length. Before being able to purchase a snoring mouthpiece, you actually must obtain a prescription from a physician. In many cases, getting a prescription is rather simple and can actually be accomplished by answering a few screening questions prior to being able to complete the purchase. 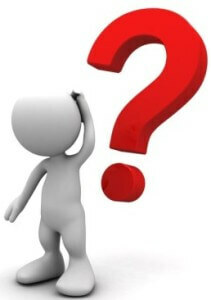 If these questions are answered correctly, you can proceed with the transaction. In a case where the questions were not answered to satisfaction, you will not be able to proceed. With every mouthpiece sold in the US, a prescription must be generated. One clue as to whether or not a product is a registered device is to look for a questionnaire when checking out. If one does not appear before the final checkout, it’s likely not a US registered product. Choosing a product that has been cleared by the FDA is one of many items that you should consider before making a buying decision. There are a number of other factors to consider. Take some time reading product reviews in order to familiarize yourself with what’s available. Is it possible to choke on a snoring mouthpiece? Amazon snoring mouthpieces – Are these a good choice? Is it safe to use a mouthpiece to stop my snoring? Next post: Will A Snoring Mouthpiece Work For Me?